Home / Sins and Punishments / WHAT HAPPENS IN THE GRAVE AFTER DEATH? Prophet Muhammad (may Allah's peace and blessing be upon him) says: The grave is the first part of the hereafter (the Day of Judgment). If he or she is saved from the punishment and torment of the grave then whatever is after it is going to be better and easier. He will be saved from more bigger things. If he has not saved from the torments and punishments of the grave then whatever is going to come after that is going to be worse. My dear brothers and sisters in Islam. When a person goes to the grave the Prophet Muhammad (pbuh) tells us: He or she takes with them three things, one stays and two return! The Prophet Muhammad (pbuh) said: Your family and your wealth return, what stays with you are your deeds. Your good and bad deeds because that's what's going to determine where you're going to be and what's going to happen to you in your grave. 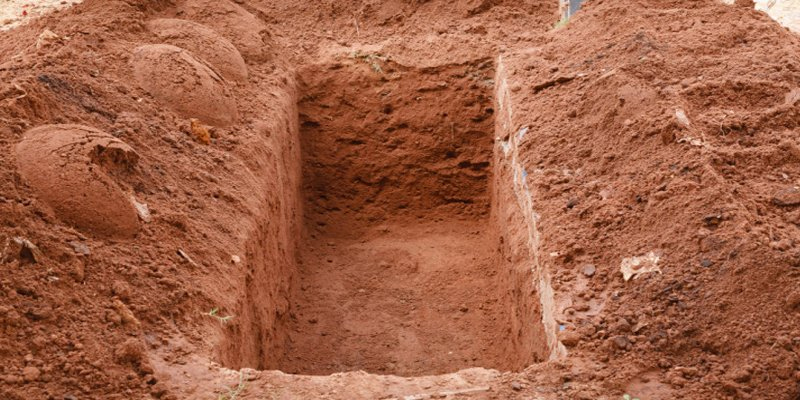 The Prophet Muhammad (pbuh) indicates, or tells us that the dead people visit each other in their grave. Prophet Muhammad (pbuh) said: When you bury your dead then make their shroud nice and put on beautiful fragrance to them make them presentable for the people of the grave visit one another. The Prophet (sallallahu alayhi wasallam) told us that a person who is being punished in their grave, the animals can hear him or her. Ayesha (RA) said: Two old Jewish women entered my house one time in Madinah because they were neighbors and they said to Me, the people of the grave get punished inside their graves so I said to them, you are lying this is not true, people in their graves don't get punished then they left then the Prophet Muhammad (pbuh) entered and I said 'Oh Messenger Allah' two old women from the Jews came to me and said the people of the grave are getting punished in their graves. The Prophet (pbuh) said: They spoke the truth (Those two Jewish women). The people of the grave who are getting punished, they get punished until the animals can hear them so the human beings and Jinns can't hear them but the animals can hear them every now and then. Now i don't mean to scare you but it is our deeds which inevitably decide what the status of our graves are going to be like. Either a garden from the gardens of paradise or a pit from the pits of Hellfire so the Prophet Muhammad (pbuh) Himself used to say: ''Hh my lord I seek your protection from the punishment of the grave'' and this is what we should be doing as well.